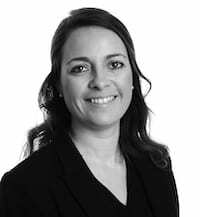 Claire Hunter, Raworths Solicitor looks at how to keep the lid on legal costs during the divorce process. January, sadly, is a month that statistically sees a rise in the number of divorcing couples. For most it’s a time of great stress and uncertainty and will certainly change most people’s circumstances regarding property and finances. The cost of divorce is an important factor and something that must not be overlooked as it can lead to further acrimony during the divorce process. However, there are approaches which if they can be adhered to, will help avoid extensive costs and legal battles. Mediation is generally less expensive than going to Court and can assist when making future arrangements for children, property and finances. It is a conciliatory way for divorcing couples to try and reach an agreement in relation to matters that arise following a marriage breakdown, rather than allowing the Court to decide the outcome. Collaborative law is popular, partly because legal fees can be relatively low. The parties and their lawyers all work together to discuss the issues. They will sit around a table together to negotiate. The aim is to agree a fair settlement for both parties, whilst keeping them out of court. If negotiations are prolonged, costs can mount up as lawyers charge an hourly rate, but this can still be significantly less than going to court. The more couples can agree together, the less time a lawyer will need to spend resolving issues. 2. Say if there are concerns about legal costs. If there are financial difficulties or worries about the costs then it’s better to be clear at the outset, most solicitors will be able to discuss the options that may be available. The process will be smoother and quicker if organised, easily understood financial documentation can be supplied and if there are unusual payments this information should also be included. This could avoid additional time and legal costs being incurred. A general rule is not to withhold information, too much information is better than too little! Following the first meeting with a solicitor it is helpful to prepare a summary of assets, liabilities, income, and expenditure. It is not compulsory but can be helpful for a solicitor to have this information from the start. If the matter is about children, set out a brief a history of the arrangements and any difficulties encountered. Consider what is best for the child/children and the whole family. It is also useful that notes are taken throughout the course of conversations with the solicitor, making sure that all questions are answered. It might be beneficial to seek assistance from experts such as financial advisors, property or pension experts. There may be complicated issues involving businesses, properties or pensions and getting help from experts can be invaluable. Likewise, if emotional support is needed, it’s worth considering a divorce coach. This way the solicitor is being used solely for legal advice. Keep in mind that in addition to legal costs and VAT there may be disbursements to pay, (such as court fees or barrister’s fees). Solicitors can provide estimates for such costs. 6. Don’t worry about the small things. It’s not sensible to pay a solicitor to sort out the minor issues that can be managed personally. Prioritise and focus on the bigger more important issues. For advice on this, or any aspect of Family Law, please contact Raworths on 01423 566666.